The notion of Moscow as an austere cold war relic is just plain wrong. 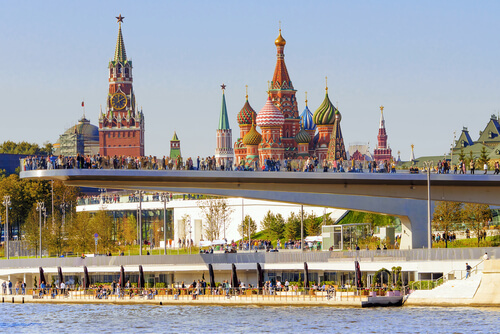 Not only is it the throbbing heartbeat in the bosom of a vibrant and modern Mother Russia, it’s also the cultural and commercial hub of eastern Europe. Not to mention its pre-communist role as an opulent bridge between Europe and Asia and an on-again-off-again imperial seat of power. 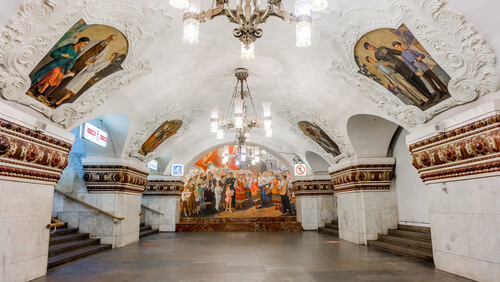 Every one of Russia’s different eras has left its mark on Moscow. The city’s time as an imperial playground has left it with opulent palaces, wonderfully baroque cathedrals and grand parks. These now sit next to the functional, utilitarian architecture of communist times as well as avenues wide enough to parade a tank squadron through, and all overlooked by the skyscrapers of its post-perestroika rebirth as a commercial centre. This mix of styles makes Moscow a visitors’ delight, offering an ever-changing mix of modern and traditional, fun and functional along every street. Moscow is Russia’s most populous city. A 2010 census put its population at 11 million official residents and an estimated three million unofficial residents. Just like New Yorkers, Parisians and Londoners, these millions of Muscovites just want to get on with their day, leaving tourists to disappear into the background and enjoy the city as it is without them. That’s not to say Moscow’s natives are rude – politeness will nearly always be met with hospitality – it’s just the textbook brusqueness of big city folk. What’s more, the metro – truly one of the world’s best – is both affordable and efficient, allowing visitors to explore every corner of the city unhindered. With its own huge population, the city streets are always bustling, its shops constantly full and traders from every corner of Asia and Eastern Europe keep beating a path here to sell their wares. 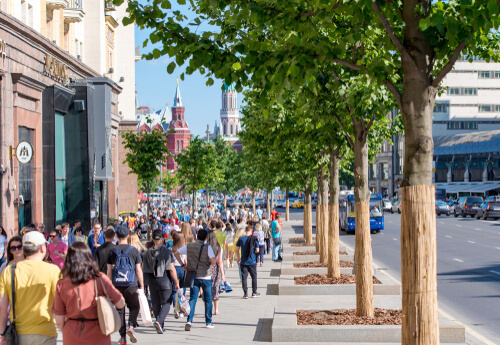 Tverskaya Street is the city’s answer to London’s Oxford Street while the adjoining Tretyakovsky Proyezd is more like its Rodeo Drive or Knightsbridge. Head to the GUM department store on Red Square for luxury items and Izmailovsky Flea Market for local wares, trinkets and souvenirs. Moscow’s critical mass also has a gravitational pull in cultural terms. Visitors can take in high culture such as the opera and ballet at the Bolshoi, visit one of the city’s many art galleries (the pick of which are the State Tretyakov Gallery and the Pushkin Museum of Fine Arts), dine at world-class restaurants, revel in watching local rock bands or, go bar-hopping and clubbing in its vibrant nightlife scene. Just don’t expect to be able to sing along to most of the songs the DJ plays (the old Red October Chocolate Factory houses a thriving nightlife scene). Not only did the city play host to soccer’s World Cup Final in 2018, it has eight football teams of its own – four each in the top and second tiers – making it a sports city in the same league as London, Buenos Aires or Melbourne. It also has very competitive ice hockey, volleyball and basketball teams. There is so much more to Moscow than the photo opportunities around Red Square. 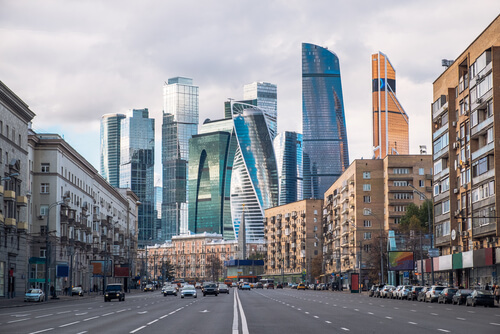 The Kremlin, St. Basil’s Cathedral and Lenin’s Mausoleum are undoubtedly unmissable tourist destinations but behind these, lie a huge, exciting megacity with hundreds of things to do and see.